The mental battle in poker at the lower stakes is one of the biggest hurdles that trips up players. Nathan @BlackRainPoker Williams shares tips to survive in the vast jungle of low stakes poker. The lower stakes — both online and live — present a unique challenge that most poker players must come to terms with at the beginning of their poker careers. These games are typically full of unskilled players and very unimaginative tight regulars. In both cases such players don't like to fold very often, and this can lead to an excessive amount of bad beats. This circumstance can be very difficult for someone who is new to the game to handle. 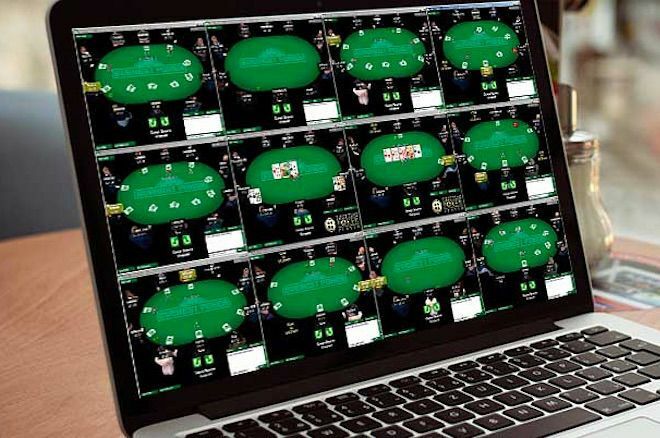 When you combine it with the multi-tabling aspect of online poker, this can lead to disastrous tilt for many people. For those reasons, in this article I am going to give you some of my top mental tips to survive and thrive in the vast jungle of low stakes poker. The first thing that you need to do is simply accept that your journey through the lower stakes is going to be anything but smooth. You are going to take countless bad beats. Your aces will get cracked five times in a row. They will hit that miracle card on the river right before the final table. Yes, it's all going to happen and even worse, too. When you lay the groundwork in this way — or as I like to put it, when you know what you are signing up for — this might help you handle the inevitable craziness that will follow. There is simply no way around it. When you are engaged in battle with a bunch of "no fold'em" players, they are going to hit their miracle cards now and then. This is the simple math. The one thing you can never do in poker is fight the math. If they are chasing that gutshot straight draw — and they absolutely will — then it will get there approximately 16 percent of the time if they chase from the flop to the river. Is it a really bad idea to chase a gutshot (or inside) straight draw? Yes, of course it is. That is what bad poker players do. But you can't deny them their 16 percent equity. They will get there from time to time. Sometimes they will hit a few of them in a row. This is the way that poker works. You need to embrace the chaos at the lower stakes. No matter what I say here, I know how awful it can feel when opponents hit their miracle cards against you over and over. You feel an unsettling mix of frustration, dismay, and total hopelessness. You just want to throw in the towel and give up at a certain point. Because what is the point of even playing when it feels like you are destined to lose every hand? Believe me I know this feeling oh so well. How do I overcome it? I overcome it by remembering that on average they won't hit that gutshot straight draw 84 percent of the time. That's a pretty nice edge! That is why I play this game. No matter how much they try to fight the math, I will always win in the end. You can't keep putting your money in the middle as a massive underdog and expect to have any kind of success over the long term. That is really all that poker actually is when you break it down — a never-ending series of samples. They might hit their gutterball this time or even three times in a row against me. But try doing that 10, 20, or 100 times in a row. It isn't going to happen. My 84 percent equity is slowly going to crush their "luck" when the sample sizes start adding up. And eventually all of their chips will be in my stack. What a lot of people forget is that it doesn't actually matter if you get your money back from one particular player or not. In fact, this is a huge mistake that I see people making again and again. That is, focusing on one specific bad poker player who happened to get lucky against them several times in a row. You need to start viewing the recreational poker players as one big conglomerate instead. It doesn't matter which of them you win your money back against, at the end of the day you will get it back from the group of recreational poker players if they keep sticking their money in the pot as such big underdogs. The one thing that never changes in poker is that bad poker players will keep putting their chips in the middle as large statistical underdogs. One of the best things you can do to prevent yourself from tilting is to depersonalize your poker playing experience completely. A good way to help illustrate this point a bit better is to start thinking about poker like the Las Vegas casinos do with their patrons. Last time I checked 40 million-plus punters make their way to Vegas each year and many of them will try their hand in games like roulette, slots, craps, and other games in which the house has a significant edge. Make no mistake, some of these Vegas visitors will get lucky and win big. Those who do will go home and brag to their friends about it, which in turn will spur even more tourists to go try their luck there. But the casinos know the math. They know that they have an advantage in all of these games no matter how small. They don't worry about Joe Blow who happens to get lucky and burn them once. Because they know that they are going to be up huge versus the 40 million other Joe Blows. You need to think about poker in the same manner. Don't take it so personally when one particular recreational lays a sick bad beat or two on you. Let him have his fun. Because if you are playing correctly, you are going to be up big in the long run versus the entire group of them, and this, of course, is the only thing that actually matters. The mental battle in poker at the lower stakes is one of the biggest hurdles that trips up many players, especially those who are new and/or inexperienced. These stakes are notorious for having tons of people who hate to fold, which simply means bad beats are more likely to happen. Amplify this with the ability to play 2, 4, 12, or even 20 tables at a time online, and the potential for massive bankroll busting tilt becomes very clear. The key is to understand what you are getting yourself into in the first place. The lower limits will be crazy and frankly unbelievably so at times. But at the same time you need to always remember that you cannot continually fight the math in poker and expect to turn a profit in the long run. Bad poker players do lose in the long run. They lose big time in fact. It doesn't matter which one of them from whom you get your money back (and then some). If you continue to play correctly and get the money in as a statistical favorite on more occasions than not, you will win in the end. Nathan "BlackRain79" Williams is the author of the popular micro stakes strategy books Crushing the Microstakes, Modern Small Stakes, and The Microstakes Playbook. He also blogs regularly about all things related to the micros over at www.blackrain79.com.